Millions of men and women suffer from hair loss. Over 50% of men (by the age of 35) and 40% of women (by the age of 40) will have some sort of hair loss. Both men and women look older with some degree of hair loss and studies show that those suffering from some sort of baldness earn 12% less than those who don’t. This is one thing that has kept me in business for years. Coloring hair for both men and women them feel younger and look more youthful. This is one of the main reasons I started selling wigs. When men lose their hair they only have a few different options; they can shave their heads, wear hats, or just keep their hair loss. Women don’t really have these options. There is a stigma that goes with a woman that she must be sick or doesn’t care what she looks like. I have found women are embarrassed by hair loss and don’t know where to turn, and most salons are not equipped to help them. Men that don’t look good with shaved heads or hats face the same dilemma as women. They are often overlooked for promotions and, socially, they feel less competitive. Men are typically more reluctant than women to try hair replacement because of preconceived notions of what a hairpiece looks like on them. And we all know why…we have all seen the bad toupee, which is like a train wreck we can’t stop staring at. There are revolutionary hair pieces out there right now that are incredible. When applied properly you cannot see that it’s a hairpiece no matter how close you look. 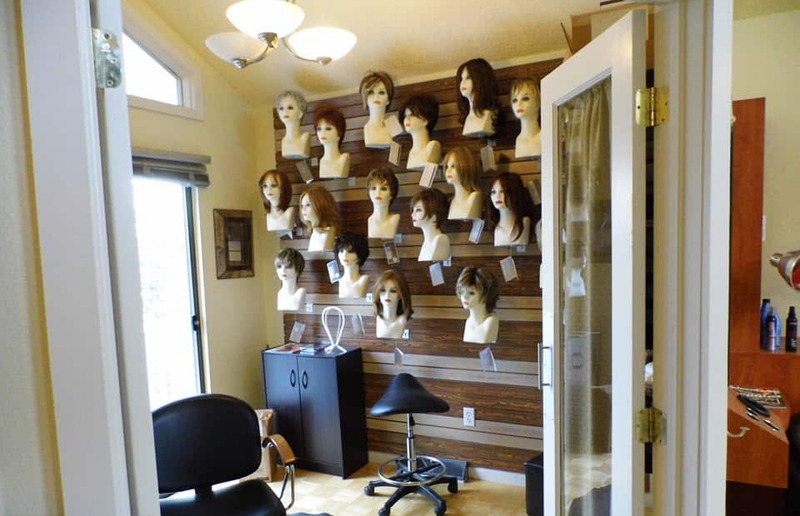 You have nothing to lose and everything to gain by trying on a quality hairpiece that may change your life. Just be sure to do your homework; today’s hair solutions are well worth it. I have not had a single wig client, man or woman, who has left the salon with less than a huge smile on their face. They feel younger, freer and much more confident. So, whether you are a man or a woman there are hair solutions out there for you. How gorgeous is this! This year, step out in style with ‘Stepping Out’ by GaborWigs. This one-length blunt cut has a slightly angled bang with.. Wedding season is just around the corner! How GORGEOUS is this style? You don’t need long hair to do it either! Just snag Hairdo 6pc Straight..